The book's Introduction to military style remote ​viewing​​ is our ​unprecedented ​report on the late Princess Diana's auto accident. 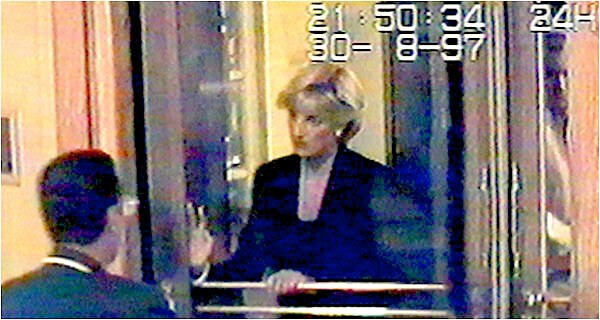 a) Driver Henri Paul's whereabouts before he returned to the hotel that night. Had he really been drinking? 10) All the books in the Evidential Details series are heavily researched and footnoted. They all have supporting documentation, bibliographies, extensive pictures and some incredible Remote Viewing art work. Mix all this with the book's main story, and you have something you will want to read immediately and show others. In pre-market testing, we never saw anyone that wasn't fascinated that such books could exist. One guy bought our copy at a library! After looking it over he said, "How much for this book?" and pulled out his wallet! People also appreciate getting these books as gifts. ​​One reader e-mailed us: The book was excellent. Not too long and not too ​short either and your research was particularly very good. "I have read the book and will now read it again more slowly to take it all in. I thought it was great. I know a lot of the background to RV and it ticks all the boxes, and the level of detail given by Joe M was amazing. The Princess Diana work was intriguing. I am a great Joe McMoneagle fan. He is something of a legend in Remote Viewing circles. With ability like that it is not surprising. Amazing detail. The Amelia Earhart session(s) were great. All in all an excellent book, and worth the extra postage to read." Diana got into the car on her last night.